Bed And Breakfast355 sq. ft. Elegant residence dating back to the mid-1800s, it has been finely restored to offer its guests the possibility of total relaxation in an almost timeless atmosphere. The first owner of whom we have news was a doctor who collaborated with Pasteur. His initials P. L. are engraved on the ancient door that internally allows access to the first floor. irony of fate the structure over the years is passing through the hands of other owners whose name or surname is marked by the same abbreviation. A splendid marble staircase that has remained intact over time allows you to reach the floor where the rooms are located, the breakfast area and a large terrace. 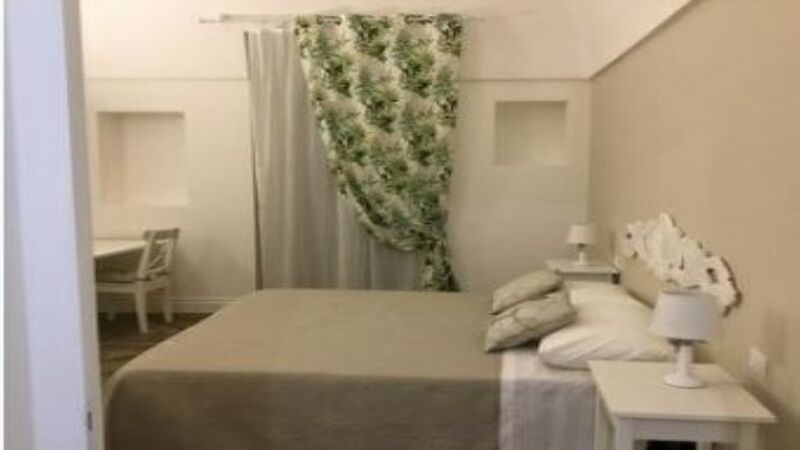 The four rooms, each with inside the bathroom with sink, toilet, bidet, shower and hairdryer, have air conditioning so that guests can feel at ease, are characterized by the vaulted carriage. The breakfast area consists of a veranda lit by a large window and a room for the buffet with vaulted stone. Guests have free access to a large terrace where they can relax. In the structure yes offers free Wi-Fi and TV in the common area. Cultural theme. Children under 6 stay free.